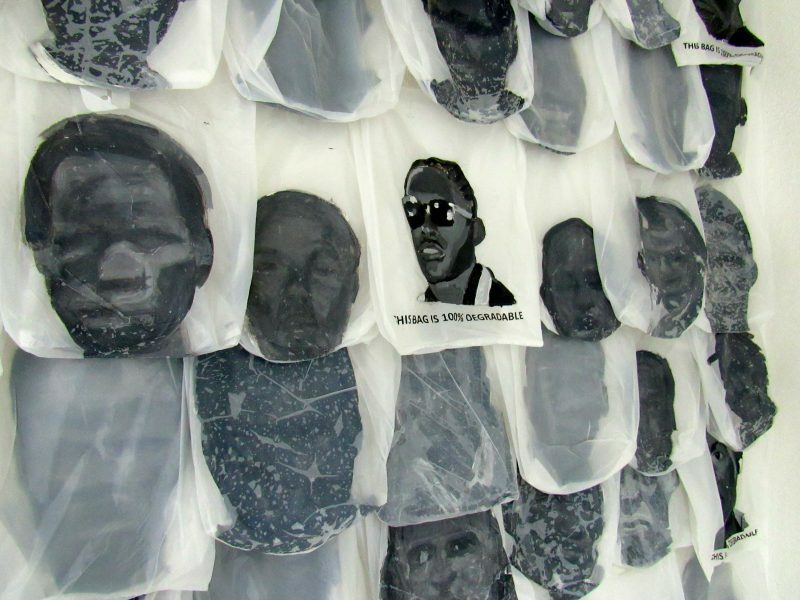 An art installation by Camille Chedda showing the faces of young men killed by the police in Jamaica. The piece was exhibited at an event hosted by the lobby group, Jamaicans for Justice, on November 23, 2016. Photo by the author, used with permission. It's really nothing new. Extrajudicial killings by members of the Jamaica Constabulary Force have been a persistent human rights concern over decades, highlighted in numerous local and international reports, including the U.S. State Department's Human Rights Report. If authorities in Jamaica are serious about tackling the country’s shocking levels of police killings and violence they must urgently promote a deep police and justice reform to address not only the number of police murders but the root causes of the problem. The report goes beyond the basic, egregious injustice of the deprivation of citizens’ right to life by agents of the state; it also explores what Rodje Malcolm, advocacy manager with the human rights lobby group Jamaicans for Justice (JFJ), called a “web of human rights abuses” associated with the killings themselves that affect the victims’ families, friends and the wider community. These include various forms of harassment, threats and intimidation — at home, at funerals and wakes, at hospitals and even in court. Malcolm was speaking at a small, informal evening event with family members and the human rights community following Amnesty International's press conference. The gathering also put on an art exhibition and film screenings to highlight the problem. Malcolm pointed to a “culture of fear” that pervades impoverished neighborhoods and “does not even have a perpetrator”. The culture of “informer fi dead”, which dancehall deejay Buju Banton sang about back in 1991, means that citizens refuse to report crimes or come forward as witnesses, for fear of either criminal gangs or the police — or both. This atmosphere persists, paralyzing communities and making the quest for justice even harder. One example is the case of Matthew Lee, who was shot dead by the police along with two other young men in the uptown Kingston area of Arcadia in January 2013. No witnesses have come forward and the case has therefore been stalled. 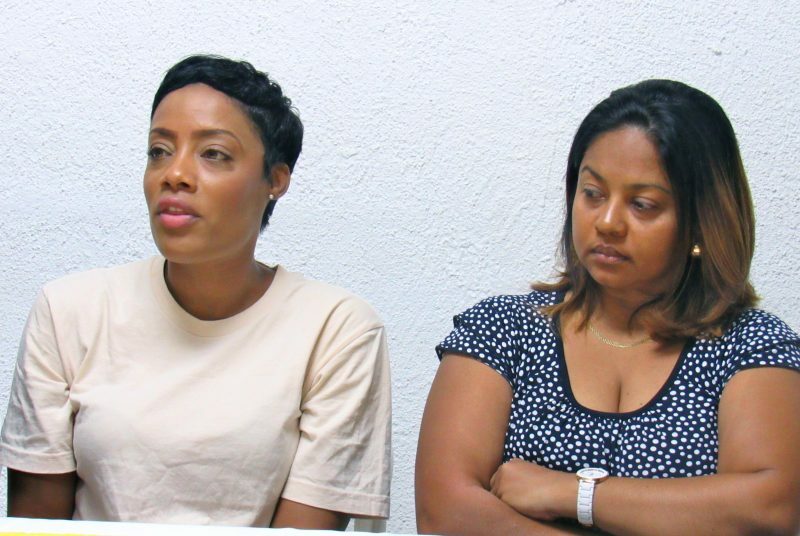 Shackelia Jackson (left) and Simone Grant at a community meeting following the release of Amnesty International's report on extrajudicial killings in Jamaica. Jackson's brother Nakeia was cooking in his kitchen on Orange Street, Kingston in January 2014, when he was killed by police; Grant's brother, Matthew Lee, and two other young men were shot dead by the police while driving in Arcadia, Kingston, in January 2013. Photo by the author, used with permission. Nevertheless, there is hope. The establishment of the Independent Commission of Investigations (INDECOM), set up in 2010 to look into cases of police abuse, has been credited for greatly reducing the number of police killings, which fell from 258 in 2013 to 129 in 2014 — and dropped even further, to 98 in 2015 — a 16-year low. JFC stands for Jamaica Constabulary Force. Security and human rights — and the country's snail's pace justice system — are never far from the agenda in Jamaica. The release of the Amnesty report highlights the need for the Jamaican government to begin to seriously tackle the issue of police reform — an issue that was raised in the Report of the Commission of Enquiry into the 2010 incursion by security forces in Tivoli Gardens. The need for “broad institutional reform” in the police force was also included in the International Monetary Fund's (IMF) new Stand-by Arrangement for Jamaica earlier this month. As a step in this direction, Prime Minister Andrew Holness committed himself to a complete overhaul of colonial-era legislation related to the Jamaica Constabulary Force by October 2017. Justice Minister Delroy Chuck, who met with the Amnesty and Jamaicans for Justice representatives this week, appears to be fully aware of the “justice delayed is justice denied” aspect of the problem, which allows more human rights abuses to take place as cases drag through the courts. This week, the minister declared that documents for court cases must be ready within three months. Whether this is achievable remains to be seen. While human rights, crime and violence remain thorny issues, there is a glimmer of light at the end of the tunnel for Jamaica, once good intentions are translated into action.